Description Do you want to stop drinking? Does alcoholism or addiction run in your family? Are you considering how to get sober? Are you seriously thinking about sobriety for the first time being alcohol is controlling your life as never before? Has the idea of a "Higher Power" kept you out of Alcoholics Anonymous or other 12 Step recovery programs? If so, then check out this podcast! 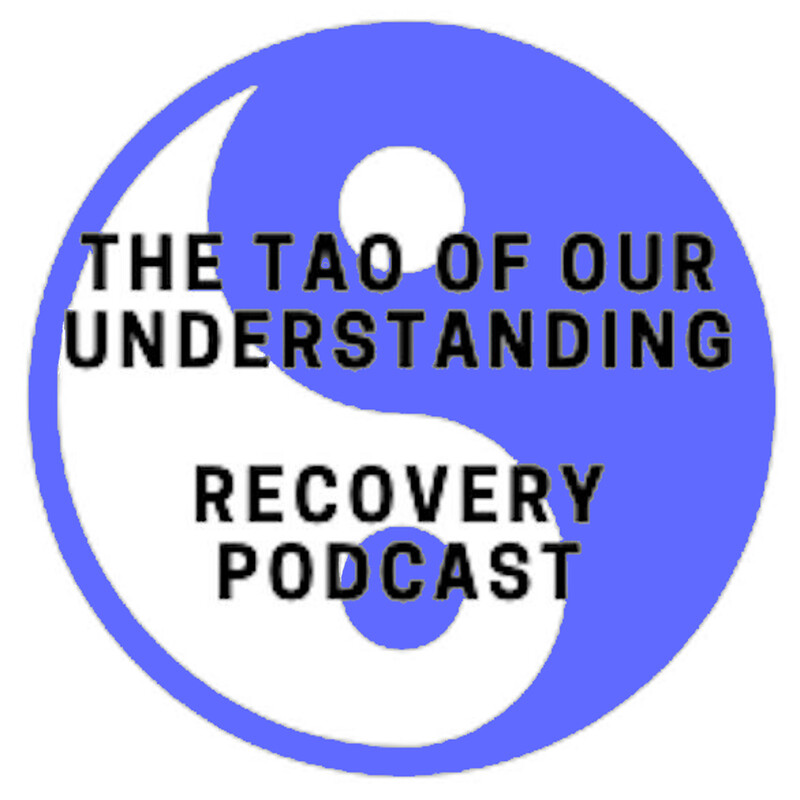 In this meeting, a chapter of the Tao Te Ching is discussed every week as to how it relates to recovery. Taoist Philosophy can be a great tool for embracing the idea of a “Higher Power”. Nature offers all of the examples necessary for a concept of a source of all life, much different but yet very similar in many ways to more traditional religious thinking. Here is a link to an online version of the Tao Te Ching that we use in every meeting; https://ttc.tasuki.org/display:Year:1972,1988,1996,2004/section:1 In the Recovery Revolution Community, RRC for short, we have a number of live online recovery meetings every week on a number of different topics led by a wide mix of addicts and alcoholics in recovery. For more information about the RRC, go to https://omarpinto.com/membership-community/ If you join the RRC, you will not only be able to participate in this meeting, along with many more live meetings, but also access a video library of past meetings plus many more benefits of this growing community. Thanks for checking out our podcast. If you listen and enjoy this podcast, please share with your friends in recovery! 1. Chapter 39 Tao Te Ching – Real Humility! In the 39th Chapter of the Tao Te Ching. Lao Tzu shows us how we are all connected. Being we are all connected and part of a greater whole; when I hurt you, I hurt me. When I help you, I help me. When I have a success, I never get there alone. I never have to go through a disappointment alone either. Through appreciating, acknowledging, and helping those around me, I am helped too! In the RRC we have a number of live online recovery meetings every week on a number of different topics led by a wide mix of addicts and alcoholics in recovery. Go to https://omarpinto.com/membership-community/ for more information. If you enjoyed this podcast, please share with your friends in recovery! Do you want to stop drinking? Does alcoholism or addiction run in your family? Are you considering how to get sober? Are you seriously thinking about sobriety for the first time being alcohol is controlling your life as never before? If so, you will definitely want to check out this podcast and the RRC Community! 2. Chapter 38 Tao Te Ching Part 2 – Being Good instead of Doing Good! This is part 2 of our discussion of the 38th Chapter of the Tao Te Ching. Lao Tzu gives us 3 ways to live in the Tao instead of our poor substitutes; 1. Acting unselfishly, 2. Give without conditions, 3. See without preferences. Great discussion today with a lot of application. 3. Chapter 38 Tao Te Ching Part 1– Be Good instead of Do Good! This is part 1 of our discussion of the 38th Chapter of the Tao Te Ching. Lao Tzu gives us the levels of false spirituality again and how we are to “be good” instead of the false “do good” substitutes going downward from self-goodness, to fairness, to rituals, to laws. These are red flags that can show us when we are not walking in our higher Tao nature of love. 4. Chapter 37 Tao Te Ching Part 2– Practical Application! This is part 2 of our discussion of the 37th Chapter of the Tao Te Ching. Lao Tzu gives insight on our part in life which many times is different than we interpret. We discussed with Kate E. how to apply this chapter in a work situation that she was experiencing. 5. Chapter 37 Tao Te Ching Part 1– work not WORK! This is part 1 of our discussion of the 37th Chapter of the Tao Te Ching. Lao Tzu gives insight on our part in life and how we mistake work for work. We discuss how we tapped into something greater in our recovery and how to start tapping into that same power in the rest of our lives. 6. Chapter 36 Tao Te Ching – It is difficult to appreciate the gift in our struggles! 7. Chapter 35 Tao Te Ching – Living a Life of Attraction! In the 35th Chapter of the Tao Te Ching, Lao Tzu gives us a paradox of spirituality – what we think will make us happy never does. When we focus on the persons, places, and things of this world to make us happy instead of looking within, we will always lack. 8. Chapter 34 Tao Te Ching – Acting our way into Powerlessness! In the 34th Chapter of the Tao Te Ching, Lao Tzu shows us that by not possessing, making no claim, not dominating, not lording over others, not controlling, we can accomplish the work necessary to live powerlessly. 9. Chapter 33 Tao Te Ching – Understanding Yourself Instead of Blaming Others! Do you want to stop drinking? Does alcoholism or addiction run in your family? Are you considering how to get sober? Are you seriously thinking about sobriety for the first time being alcohol is controlling your life as never before? If so, you will definitely want to check out this podcast and the SRC Community! 10. Chapter 32 Tao Te Ching – Guidance and the Tao! 11. Chapter 31 Tao Te Ching – Stopping the Fight – Starting with me! One interpretation of Lao Tzu's 31st Chapter of the Tao Te Ching could be avoiding the fight – starting with the fight within us then outwardly toward those we love, then to those we interact and work with in daily life. How do we do this? This was a really good discussion of how the 31st Chapter can help us take the fight out of daily life. 12. Chapter 30 Tao Te Ching – Force ALWAYS causes Resistance! 13. Chapter 29 Tao Te Ching – Surrender to the natural flow of life! 14. Chapter 28 Tao Te Ching – Being the Valley; Learning to be the source for those in our lives rather a drain on everyone around us! 15. Wu wei in the Tao Te Ching – What is "our part" in the actions we take in both recovery and the rest of our life? Lao Tzu discusses Wu wei often in the Tao Te Ching. One of our Members, Marla H. is looking for a job. We discuss "effortless effort" – a principle known as Wu wei in Taoist thought. What is "our part" in whatever we are doing? Whether we are looking for a job, our recovery, friends, relatives, or other affairs? 16. Chapter 27 Tao Te Ching – ALL is your Teacher AND your Student! Lao Tzu teaches us in the 27th Chapter of the Tao Te Ching that we can both learn from and help those we ignore much more than we realize. Every circumstance, every person, every emotion, every fear, every joy is our teacher. When we approach life impartially we can both benefit and contribute! 17. Chapter 26 Tao Te Ching – Living Undisturbed! Is this possible? In the 26th Chapter of the Tao Te Ching, Lao Tzu discussed that when we are disturbed there is a problem within us and steps we can take to return to a state of peace and joy. The problem being within is great news! This means we can do something about it! 18. Chapter 25 Tao Te Ching – I came from, I am, and I attract Greatness! In the 25th Chapter of the Tao Te Ching, Lao Tzu discusses the Greatness of our HP(Higher Power or Tao). We came from that Greatness and can learn to live in that Greatness every day, all day! We also discussed how our HP has changed in recovery and how to remove those fears and other character defects that are blocking the freedom we are seeking. 19. Chapter 24 Tao Te Ching - Learning to accept compliments without pride or ego using gratitude! 20. Chapter 23 Tao Te Ching - Learning to live intuitively without forcing anything or anyone! In the 23rd Chapter of the Tao Te Ching, Lao Tzu says the Tao response isn’t within your ego. Your ego strongly believes in your ability to force things, to make things happen, or to be the person in charge. The Tao points out that the Way is responsible for everything, with a naturalness about it that isn’t forced. Learning to open yourself up to the Tao and surrendering the moment is the key. Practicing Step 3 in everyday life! 21. Chapter 22 Tao Te Ching - Learning to live in flexibility and how living in such a way that what you need comes to you rather than you fighting to get! 22. Chapter 21 Tao Te Ching - Not clinging to preconceived ideas. How does the Tao light our lives - we let it! 23. Thanksgiving Episode – Tao Te Ching discussion of our favorite Tao Quotes, Letting Go said in many ways! 24. Chapter 20 Tao Te Ching – Trying not to try; giving up the rat race. Tao Te Ching discussion of Our Favorite Tao Quotes, Letting go said in many ways! In the 20th Chapter of the Tao Te Ching, Lao Tzu discusses how we may not realize how often you endeavor to accomplish all sorts of things with the idea that once you do, you’ll finally have the time to do what you really want. This is one of the many ways that many of us unconsciously prevent (or perpetually postpone) a life free of striving. 25. Chapter 19 Tao Te Ching – Let go of “Working harder and doing better” Tao Te Ching discussion of Our Favorite Tao Quotes, Letting go said in many ways! In the 19th Chapter of the Tao Te Ching, Lao Tzu continues to illustrate that “all that glitters is not gold.” We have been fooled into thinking we will find fulfillment in morality, education, and success. Where we really find fulfillment is by opening up to our Higher Power (the Tao) and unselfishly doing the next right thing which starts coming naturally. 26. Chapter 18 Tao Te Ching - Substitutes for Powerlessness and being right with the Tao! In the 18th Chapter of the Tao Te Ching, Lao Tzu explains that you can live from your heart, viewing virtue as an individual responsibility that you adhere to without a statue or edict telling you. We discussed Chapter 18 of the Tao Te Ching. Lots of good content about the slippery slope of self and the substitutes we create when we do not turn our will and life over to God's care. 27. Chapter 17 Tao Te Ching – Progression of Alcoholism and Learning to Trust by Letting Go of Control! Lao Tzu shows in the 17th Chapter of the Tao Te Ching an example we can apply to the progression of alcoholism and our return through hate, fear, love, and acceptance, submitting the moment we are in and doing the next right thing. Text also gives a great guideline on how to lead in any situation, including day to day responsibilities like parenting. 28. Chapter 16 Tao Te Ching Part 2 – Everything in Life is Cyclical! 29. Chapter 16 Tao Te Ching Part 1 – The only constant is change! 30. Chapter 15 Part 2 Tao Te Ching - Living with ease and acceptance! 31. Chapter 15 Tao Te Ching Part 1 - Living with ease and acceptance! 32. Chapter 14 Tao Te Ching - Living by Being rather than Doing! 33. Chapter 13 Tao Te Ching - Not living by the opinions of others! 34. Chapter 12 Tao Te Ching - Living with inner conviction – How well we let go and live by that natural state of the Tao, not how much we know! 35. Chapter 11 Tao Te Ching Part 2 Qualities of an Empty Cup! Part 2 of our discussion of the 11th Chapter of the Tao Te Ching, Lao Tzu discusses the value of being empty – allowing rather than trying. We talked in-depth about the qualities of a cup and how this simple analogy relates to our lives in recovery. 36. Chapter 11 Tao Te Ching Part 1 Allowing rather than Trying! In the Shair Recovery Community, SRC for short, we have a number of live online recovery meetings every week on a number of different topics led by a wide mix of addicts and alcoholics in recovery. This podcast is one example of the content provided to and by our members. In this meeting, a chapter of the Tao Te Ching is discussed every week as to how it relates to recovery. Taoist Philosophy can be a great tool for embracing the idea of a “Higher Power”. Nature offers all of the examples necessary for a concept of a source of all life, much different from traditional religious thinking. For more information about the SRC, go to https://theshairpodcast.com/shair-recovery-community/ If you join the SRC, you will not only be able to participate in this meeting, along with many more live meetings, but also access a video library of past meetings plus many more benefits of this growing community. Thanks for checking out our podcast. If you listen and enjoy this podcast, please share with your friends in recovery! 37. Chapter 10 Tao Te Ching - Having without Possessing, Acting without Expectations!